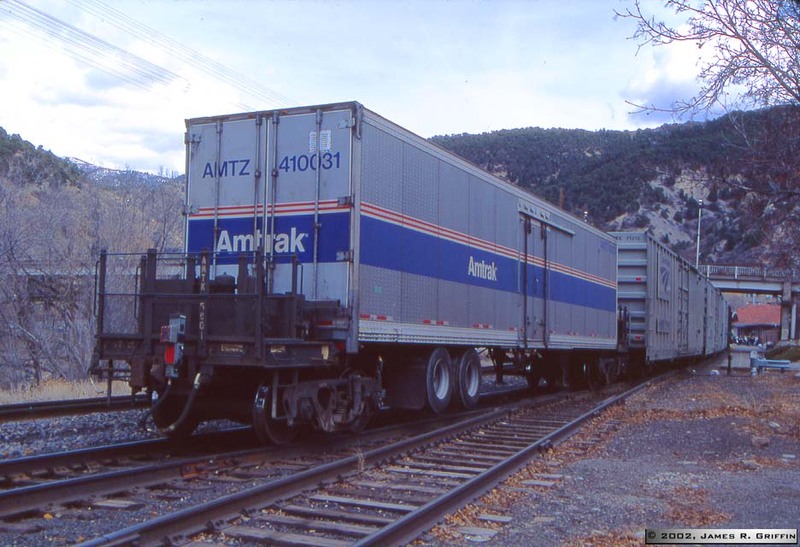 2000’s, Amtrak moved a lot of less-than-carload (LCL) traffic in what were essentially boxcars (beefed-up in order to operate with passenger trains). 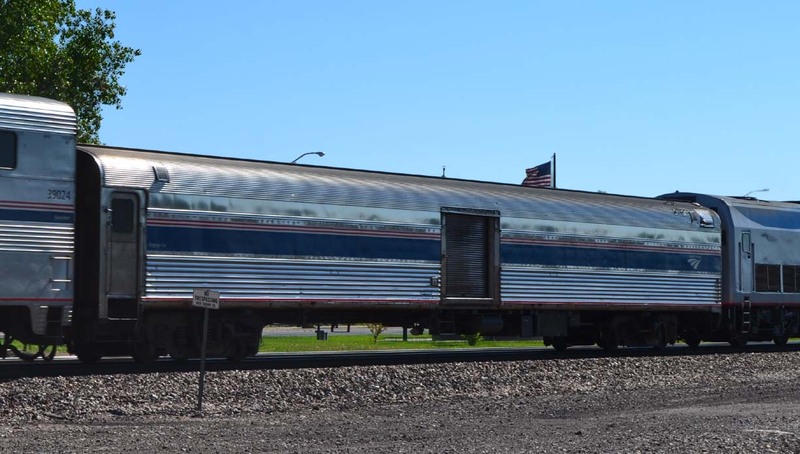 Up until 2015 the line also rostered a large number of heritage fleet baggage cars, which were seen on the front of every long-haul train. Fuzzy image of baggage No. 1213, seen on No. 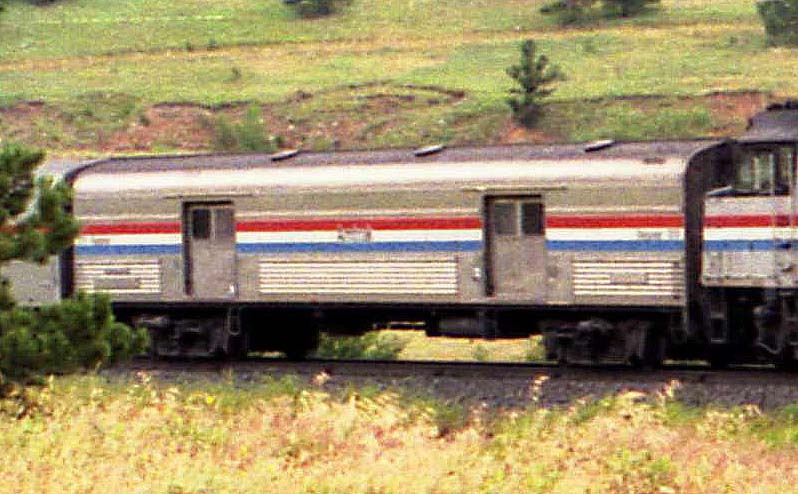 6 at Coal Creek, July 1986. Phase III stripes. Close-up of the front end of baggage No. 1221, a fluted car from Budd. On Train No. 4 in Albuquerque, 2/7/2010. The back door to P42 No. 85 is open wide. Baggage 1242, on train No. 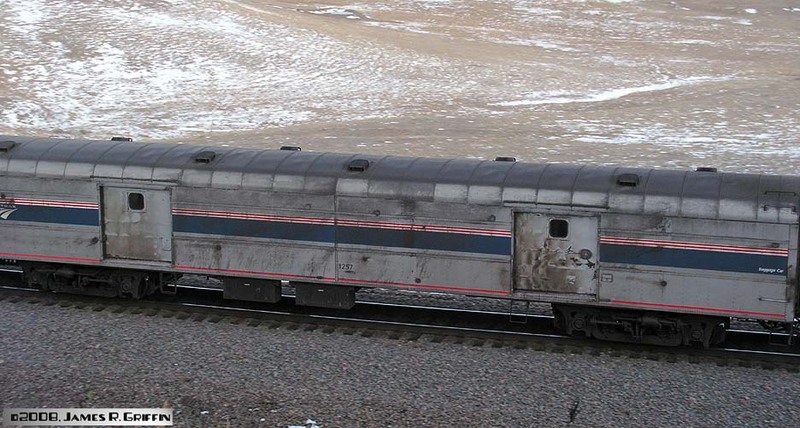 5 leaving Denver on 12/16/2014.This car was originally built in 1953 by Budd for the AT&SF as car No. 3523. 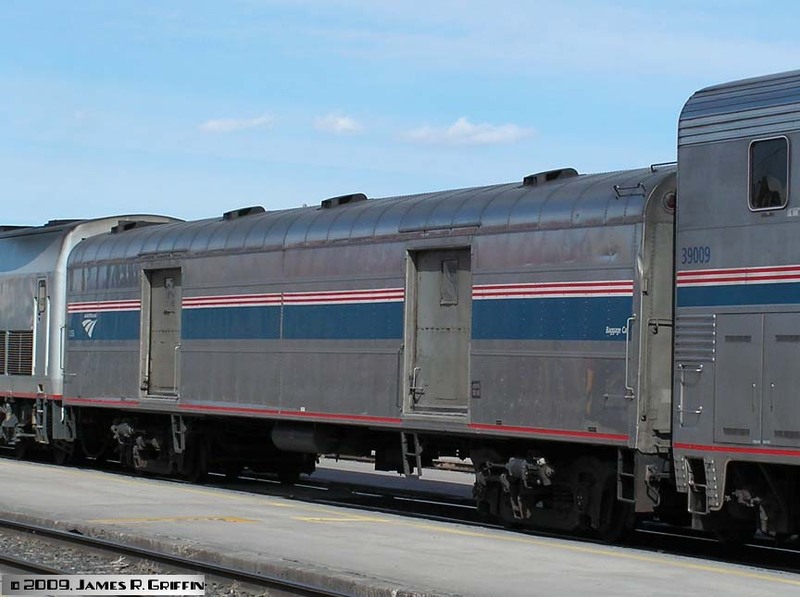 Baggage car 1255, two views, from Albuquerque on the Southwest Chief, 2/26/2009. It’s a smooth-side car from ACF (built in 1955 for the AT&SF as No. 3664), which makes it 54 years old at time of this photo. 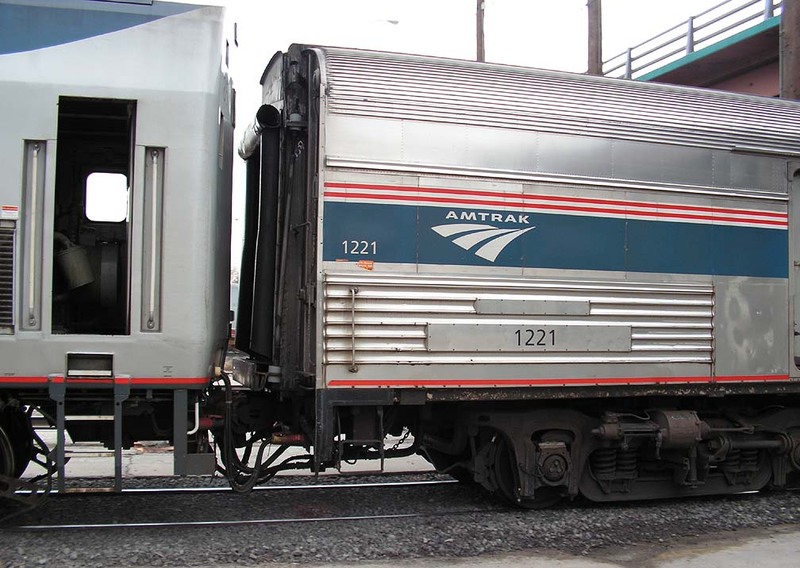 Amtrak 1257, a typical smooth-side baggage car in long-haul service. At Big 10 curve on 12/6/2008, it is extremely dirty with streaks of grime running down the car.It was built by ACF in 1955 for the AT&SF as No. 3662. Baggage No. 1714. It’s on No. 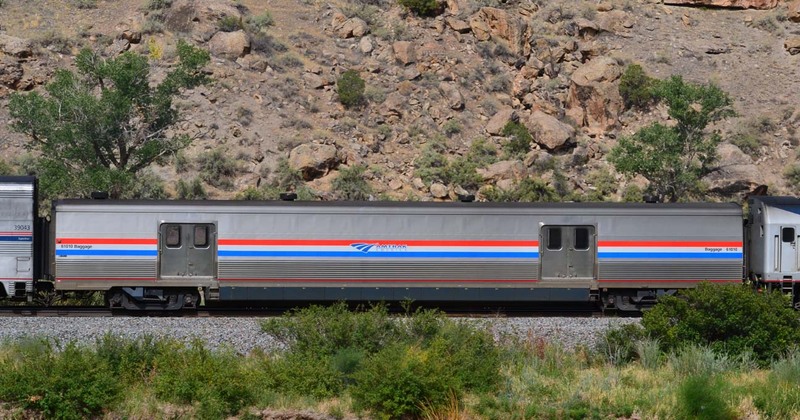 4 at Grants, NM on 8/29/2015. See above for explanation. 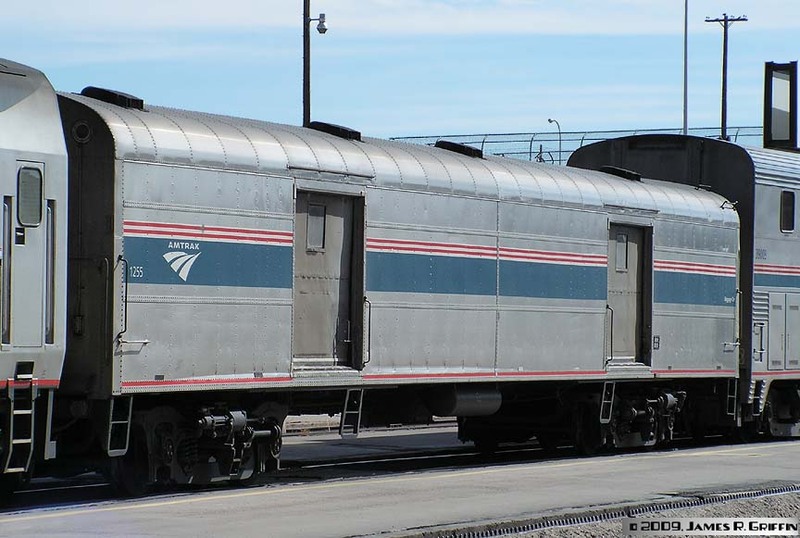 Baggage car 1757, seen at Gallup, NM on 9/24/2011.Originally built in 1961 by Budd for UP as leg-rest coach No. 5522 .
material-handling cars, whose placement at the end of the train suggests that these cars are not fitted out for HEP, prohibiting their use ahead of the passenger cars. baggages as of this writing in 2018. 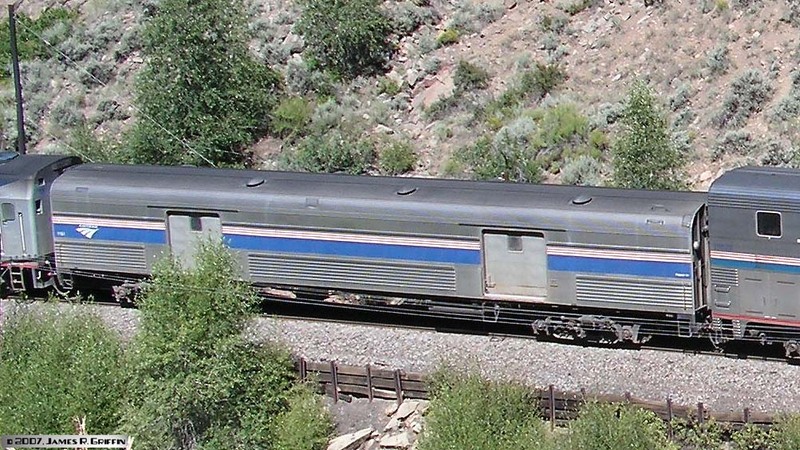 Baggage 61010 is spotted on train 6 in DeBeque Canyon on September 3, 2018. 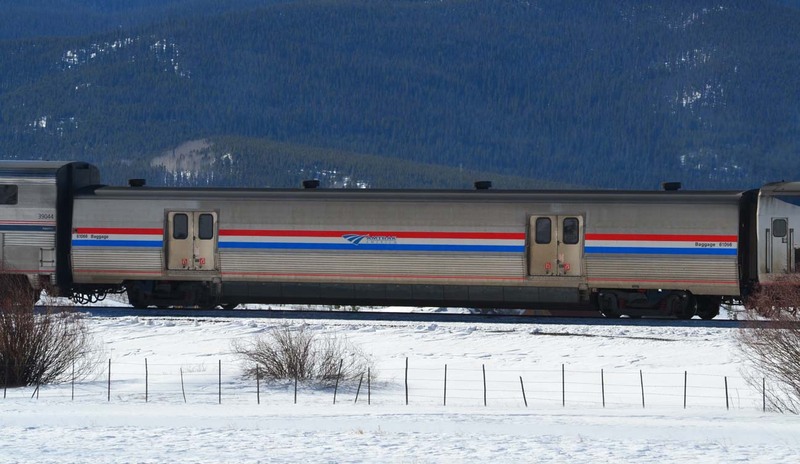 Baggage 61066 is on train 5 approaching Fraser, Colorado on 2/18/2018.